The super unblocker. 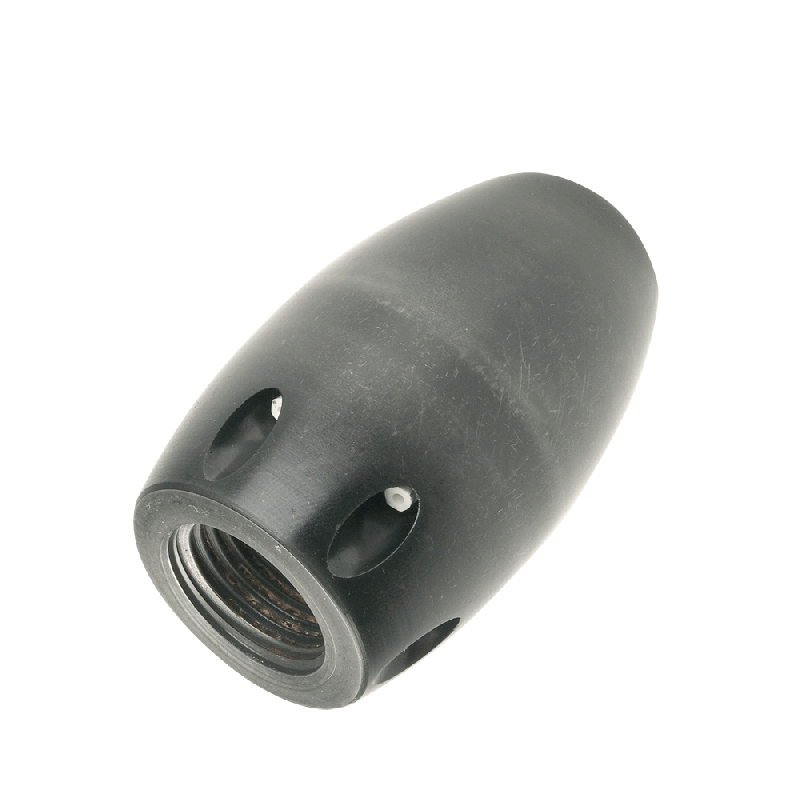 This jetting nozzle has a special construction with a rotating ceramic part so that the water comes out in the form of a cone. This cone drills away any obstructions. At the same time the tornado has an excellent traction.